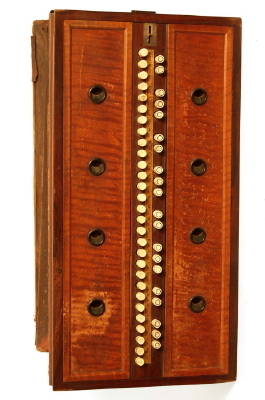 A. Prescott Rocking Melodian, c. 1841, made in Concord, NH, amber varnish finish, original box case. Length is 21 1/8 in. (53.6 cm. ), 11 1/4 in. (28.6 cm.) width, and 10 1/4 in. (26 cm.) high. Generally Fair Condition.